As a freelance audioengineer I am now also working for Radio M Utrecht, a Dutch radiostation for the province Utrecht. I am with the team of Namen & Rugnummers, the live sportprogram. Namen & Rugnummers has the same principle as the famous Dutch radioprogram Langs de Lijn by the NOS: on every episode reporters are visiting several sportgames (soccer & hockey are popular). 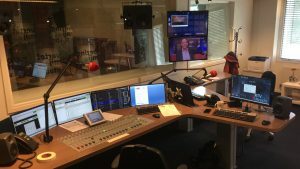 By using high frequency, 4G or ISDN, audioconnections are being made between the studio and these reporters, so they can report live on air. A presenter in the studio is the glue between the match reports, while a producer in the studio simultaneously listens to all the reporters so he can tell us to switch to another reporter on air in case of an important moment in a match. Sometimes before, but always after a match a presenter interviews a number of people, like a coach or a player. These interviews are not broadcasted live, but are recorded in the studio to air them later in the show. 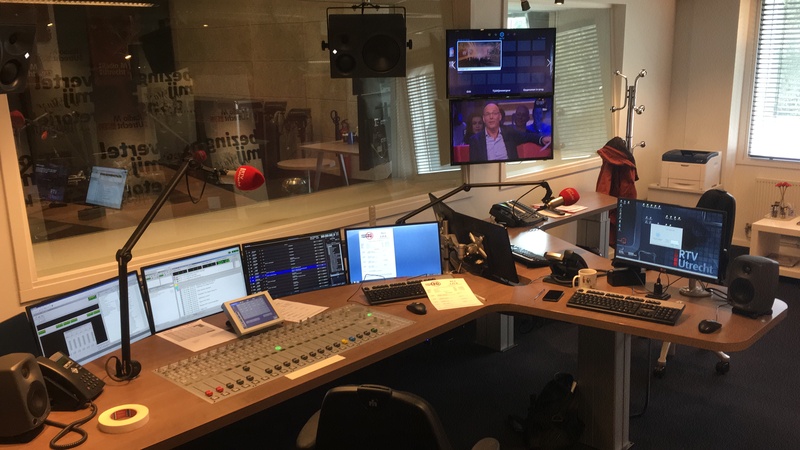 The interviews are also being made available on the internetsite of Radio M Utrecht. Namen & Rugnummers is being aired on the radio on saturday & sunday, from 14:00 till 18:00. From 19:00 till 20:00 uur a summary, by the name of De Verlenging, is being aired. Occasionally there is an extra edition of the program during weekdays.